← The Dukan Diet – What’s it all about? I enjoyed your presentation and you have raised some very good points. I cannot believe that Pepsi, Nestle etc are partners to BNF! #eyeopener! I did sport science and nutrition at university and I must be honest I am concerned you say not to eat carbohydrates or that we can live just on protein and fat. Would you recommend carbohydrate if you exercise? As you know our energy systems use ATP system then the aerobic system then onto Krebs cycle where fat is used(it’s been a while since I studied this so forgive me if I remember this wrong!) So can our bodies actually just go from using the ATP system to using our fat stores if we stay away from carbs? Also isn’t like the Atkins diet? From what I remember it caused alot of side effects like bad headaches, kidney issues etc. As a personal trainer I am now very confused as to what to suggest! 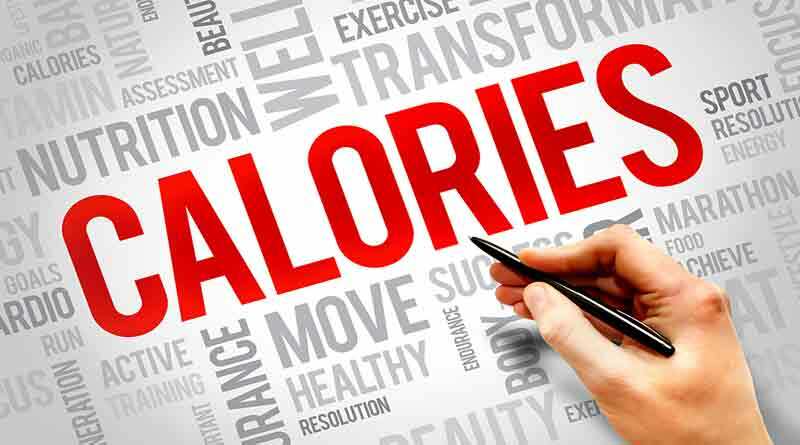 I normally tell my clients to keep a food diary, drink more water, I use the Harris benedict equation and tell them how many calories, protein, fat and carbs to have etc, give them ideas for healthier snacks (to make sure there are no insulin peaks and troughs) and they also increase exercise. What would you say I suggest to my clients from your opinion? I can say I will be buying your books, would you suggest a particular one for me? First of all I don’t say don’t eat carbs. I say that there are no essential ones (whereas there are essential fats and proteins) i.e. we don’t need to eat carbs. Humans can (and have for thousands of years) survived without carbs. Throughout evolution humans would eat anything edible that could be found. Any vegetables (some could only be consumed after the discovery of fire), nuts, seeds, fruits in season – all of these contain carbs and we would have eaten carbs whenever they were available. Most people should still be fine with carbs found in veg, nuts, seeds and fruits in season. The problem is all the other carbs that have not been in the food chain for more than the blink of an eye. Some people are so carb sensitive that they gain weight even on large veg intake. I really feel for such people – thankfully rare. The rest of us should be fine with ‘evolutionary’ kinds of carbs. The body can produce energy from either carbs or fat (protein too, but as a last resort). It will always choose carbs/glucose/glycogen if available – hence why I can’t understand how people think they will ever lose weight (i.e. burn body fat) if they have glucose available. I can tell your hero is “Lyle McDonald.” I have news for you: His “equation” is COMPLETELY WRONG. In fact, it is beyond laughable and simplsitic. The human body is an OPEN SYSTEM. The human body is a NON- equlibrium system. And BECAUSE of these two things, this makes the situation HELLISHLY COMPLEX. There is NO SINGULAR equation that can characterize muscle and fat loss/gain. *IF* it could even be done it would be MANY equationS. And they all would be hellishly complex. Trust me, down this road you do not want to travel with me. I have looked into this in extreme detail for many years. I personally spoke to these guys. Firstly you clearly have not heard of something called Acylation Stimulating Protein or ASP. ASP allows for lipogenesis in the absence of insulin. A study (linked below) showed a sustained increase in levels of ASP after an oral fat load is ingested. So already your idea that carbs are the enemy is falling apart. Secondly i could tell you were a Gary Taubes fan, as you seem to share the same obliviousness as he did. In all his years and years of research for his book ‘Good calories, bad calories’ he did not realise that dietary proteins are insulinogenic. So this should bring up some more problems with your hypothesis. I mean do you honestly believe that i could consume 7000 kcal of nuts and steak and not gain weight? Surely the bottom line should be a system of moderation. Set moderate daily macro nutrient targets and hit them, get sufficient fibre, vitamins and minerals. Then if you want to have a ‘bad food’ (ice cream etc.) then just fit it into those numbers. I obviously understand that BMR is a moving target, but a calorie deficit on a consistent basis over many months will lead to weight loss. Letting people eat what they want occasionally without them feeling bad about it (it fits their macros) will help them stick to their diet in the long run. I disagree with you in the fact that fast food companies are to blame; it is the people for having a lack of nutritional knowledge. I know this is highly anecdotal, but maybe check out the documentary ‘down size me’, where a guy applies moderation to a diet of purely McDonalds for a month, loses weight and improves his overall health. Interesting talk, completely agree with some points, but I have to say your conclusions are misleading and down right dangerous. Eating “Atkins” style as you seem to exemplify, that is chowing down loads of meat is one of the least healthy things you can do. And no, im not talking about cholesterol. They, science, has clearly proven that when you eat meat your vascular system goes into low-grade systemic inflammation for 5-6 hours after, have meat in every meal and what do you know, constant inflammation that can attribute to every chronic illness afflicting the modern world. And look at the real obesity stats, those eating omnivorous (in America) are obese, vegetarians – overweight, Vegans – NORMAL. Using science to come to oversimplified conclusions that are highly biased is exactly the same thing that the corrupt institutions are already doing. Another thing, burning carbohydrates is clean fuel, bi-product water. Eating high amounts of animal protein puts an unhealthy load of waste producst that the body has to deal with. My question is this – is it possible to totally wreck your metabolism ? to the extent that it is no longer possible to lose weight ? I am at the stage now where I am AFRAID to eat as the weight keeps piling on…. Also another is do you thing exercise has any ability to encourage weight loss, or does it not do any benefit in that are? Hello my question to you is, if fruit is so fattening then why is it allowed in phase 2? Would u prefer it be avoided all together? I am away on holiday at the moment and have been attending weight watchers in order to get my weight under control. I get weighed every tue and stay for the meeting afterwards. I have to say that I have been following the new pro points plan & using their e’source to do my tracking. So far everything is going fine, I have lost 7.5lb. I also go to the gym 3 times a week & do 60mins of cardio vascular workout. This is my second time with W/W, the first time I lost 44lb about 5 years ago & slowly the weight has crept back on. I have over the last few days been reading your book ‘ stop counting calories & start losing weight’. Now Zoe you have put a spanner in the works for me as you have brought me to a crossroads in my ambition to get my weight under control. I cannot decide whether I am afflicted with one of the awful 3 conditions that you mention in your book as I don’t think that I have ever craved a certain food type, but found myself in the past stopping at the garage to get a snack or lunch. I used generally make the wrong choices as I did not always have breakfast & rarely took lunch. However I feel that I have brought these things under control now & also swapped the large amounts of coffee that I used to consume for bottled water. The thing that I am most concerned about is keeping the weight off if & when I get to my healthy weight. I have never really looked into the reason why we struggle to control our weight until I decided to read your book, ‘Whow that opened my eyes & mind to what is happening inside me’. Listening to you hour long podcast has now convinced me that I should forget W/W & jump aboard with your program. The thing I am struggling with is not having carbohydrates with fats i:e my Sunday roast beef & roast potatoes!! & I also eat lots of fruit generally at the end of my meal or as a snack in the day if I get hunger pains. Thank you so much for making me think out side the box. Hi Steve – I rarely get time to look at these at the moment, let alone comment, but I had to with this one! Thanks so much for your lovely words and for being so open to changing long held views. I’d say you’re one of us already! 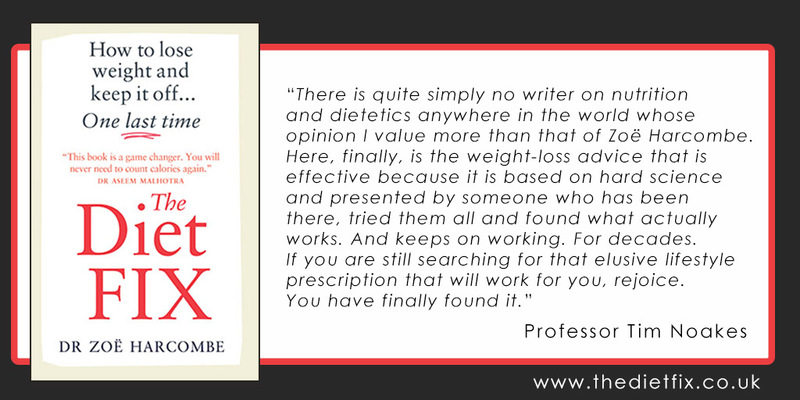 The weight loss and regain is so well documented that dieticians say “98% of diets fail”. They don’t know where they get this number from, but it is evidence based back to 1959. A 2007 study recently repeated the exercise of analysing weight loss over time on eat less/do more diets (they did not study real food/low carb diets) and this is the graph of the results that they found. As you can see, weight loss ranges from negligible to impressive over a 6 months period and then regain is equally consistent. This is all presented in chapter 7 of “The Obesity Epidemic: What caused it? How can we stop it?” – my latest book, which you may like! Thanks so much for listening to the podcast – now you know eating less/doing more just robs from what your body was going to do anyway and resets your energy equilibrium (calorie need) to an unsustainably low level (I got to the point where I would gain weight on 800-1000 cals a day!) You also know that the definition of losing weight is breaking down triglyceride, which can only happen when the body has no glucose/glycogen to use in preference. Keep reading the bit in Stop Counting cals about how the body uses energy for fuel. You need to see potatoes as fat storing devices for your roast meat! Have more roast meat and a bigger selection of (green) veg and you won’t be hungry between meals and you won’t be storing fat because of your meal choice. Most people get to the point where they just don’t want pasta or potatoes with meat or fish – they want more meat or fish! – The lack of science behind 5-a-day. I could not believe at the time when WW made fruit ‘free’. It used to be my binge food! You’re basically eating sweets with a bit of vit C and sending your blood glucose level all over the place every time you munch more. Try Phase 1 – that will let you know if you have any of the conditions going on. The worse you feel, the more likely you have 1 or more, but the better you will feel at the 4-5 day point. Tell us how much you lose and then stick to real food, 3 times a day and managed carb intake and you’ll get there and keep it off! 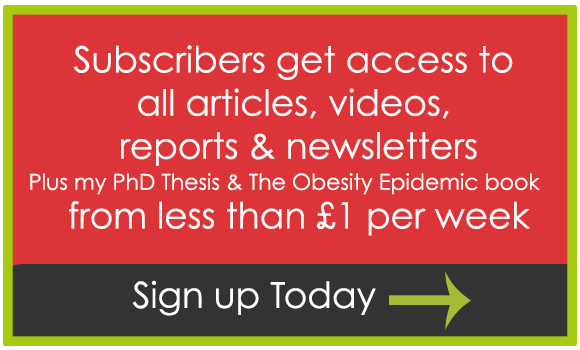 There’s a free ebook with more of the science and the intro to The Obesity Epidemic here. 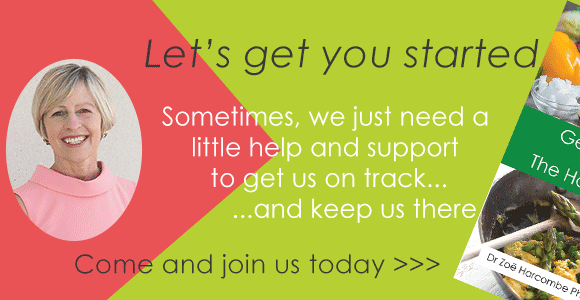 Check out our lovely online support club if you want help and motivation! Second question. For how long does your body pull glycogen from your fat after exercise and would it give you the most benefit not to eat say for an hour after exercise or would this hinder muscle growth? I have a question. To lose fat you pose that one needs to have the liver depleted of glycogen to then convert stored fat into glycogen to be used as energy. Would it then make sense to go for a run first thing in the morning before breakfast as so many muscle builders tout as the best way to lose fat? Dear Zoe – I started reading your book. I am enjoying and learning so much from you. If I was a wealthy women, I would fly to your land, and persuade you to sit in a park and read each and every page with me, so we could discuss all your thoughts and all the work and details printed in this book. I am only on page 37, but I so far, I connect to your writing style and I love that you accept no research conclusions, without looking at the raw data yourself. I believe low carb, animal based nutriiton is a revolutionary way for people to manage their health. I was a slave to sugar, and then a slave to complex carbs for >40 years…. and I am an RD. I am finally free. I am going on vacation, and cant wait to read the rest of your book. Thank you for your impressive work. Hi Lisa – Thanks so much for your lovely comment. 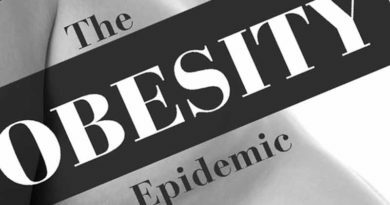 Funnily enough, right this minute I’m working on a 20 page free ebook – giving the headlines of 20 of the myths busted by the book – hoping that it can be shared widely by people to at least get them challenging stuff like “fat is bad” and “fruit is good”. Will let you know when it’s done and then you can send friends a much shorter read! Hi Zoe, just checked in my junk mail folder and found it. Many thanks – I thought you’d forgotten me! Excellent site and information. I look forward to exploring it in detail. Keep up the brilliant work. I’ll be definitely spreading the word! Thank you for responding to my post above. In my pursuit of knowledge, I reposted some comments from an RD above who I did not identify, but I did not receive his permission prior to re-posting the comments. I have been asked by this RD to remove the original post from your website comments section. I apoligze to you (and to him) for not following profoessional information sharing protocols. My membership in a subgroup of ADA is on the line due to my actions. I hope you can administratively remove my original posting from last night. Thank you Zoe. I have learned a lot over the last 12 hours! Hi Zoe, I attended your presentation at the Premier Convention and thoroughly enjoyed it, so much that I bought your book straight after, which you kindly signed. You may remember the guy that asked you the questions about the ‘weight-watchers’ hype and what 3 things could I inform my weight-watchers PT clients. I’m currently looking at metabolic testing and would like to be certified in providing this to clients. Do you have any thoughts on MT and any advice on where I can get trained up? Hi there – many thanks for your kind words – I remember you well. Did you get my email on the WW 3 things?! I sent it 17/5 – check spam and I’ll try and resend it now. I’m really sorry that I don’t know enough to help with the metabolic testing (or metabolic typing!) I have this debate with a professor sparring partner of mine. He has spent his life training people from Steve Ovett to Steve Redgrave and now the Welsh rugby team on optimal fitness and that’s not the game I’m in at all. I’m trying to help people get to natural weight – or at least to a much healthier weight than morbidly obese. The two worlds are so different. The peak fitness world does really interest me, but, with 1.1 billion overweight people in the world, and rising, I should leave optimal fitness to the experts and keep helping people to slim. Do Premier not do a course? I bet if you asked for one they would investigate. Hope you find the email! Great presentation, very clear and also a great book. Could you send me a link to the references for the presentation. I cant find it on thw website. Zoe,From 2007 i have been following a lo carb lifestyle because it made sense being a T2 diabetic, Obese 19st 12lb ( 2nd time in my life :-( ), My GP hinting at “Insulin”. Diagnosed in 2000 and following the herd i got what the herd got. More numbers, More Meds, More lectures, More insecure !! By 2007 i already knew the role of insulin i simply hadnt put it together. When i decided to ” get on board” i weighed myself daily also charting BS readings and BP readings. I kept this up for a whole 9 months. During this time i had 2 Hba1c readings via my diabetes nurse. At both i produced the records. Only on the 2nd after i had lost 4st and had an Hba1c of 5.9 did the nurse actually ask to look at them. The response predictably was we dont recomend lo carb as it is dangerous. Well since then i have furthered my education. As far as low carb being not sustainable… tosh, like any human i have wobbles but i now know what to do to get back on track and frequently do. I am a frequent visitor to your Blog having learned the hard way. Hi Dave – many thanks for your kind words and what a story. I do think that telling diabetics (T1 or T2) to base their meals on starchy foods is medical malpractice. 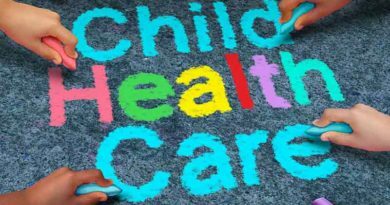 One day we may realise – meanwhile – we need to manage our own health! I have just watched your presentation at the Premier convention and I must say I am very impressed. Everything you said, you explained well and it all makes sense. I do have one question. You’ve advised people to eat 3 times a day. What are your main reasons for this as I am of the understanding (myth or not, I don’t know) that eating little and often (not necessarily more in one day) helps to improve the metabolism of food and generally burn more stored energy. Is there much difference between the two methods? Hi Patrick – many thanks for your comment. The key thing is – WHAT is eaten if someone eats little and often. If someone has a zero carb food (real meat or fish or a hard boiled egg) then there is no impact on glucose in the blood stream. (I have seen some web sites debate protein impact on insulin, but this is insignificant compared to carb intake – if indeed it matters at all.) However, people rarely eat zero carb foods little and often. Any fruit, any ‘energy’ bars, even milk in drinks – the body has glucose a) available for energy and b) to get out of the blood stream if too much. The only way to burn body fat is to give the body no reason not to (there is virtually nothing that we can do to guarantee fat burning, because the body has so many things that it can adjust). If no glucose is available, the body has a chance to break down triglyceride i.e. burn fat. The minute you consume carbs, glucose is available and fat burning stops (and fat storing starts!) I just don’t see how switching off fat burning is going to help fat burning! Fuelling for exercise is a different ball game (ha ha) but, if you want to lose weight, this means breaking down triglyceride and this can only happen when the body has no glucose available as its preferred fuel.